With authorities relying heavily on video evidence taken by surveillance cameras of the Boston Marathon bombing, Rep. Peter King is calling for more cameras to be installed, spurring protests by privacy advocates. NBC's Tom Costello reports. The successful — and massive — law enforcement effort to obtain public video to help identify the suspects in the Boston Marathon bombing shows the need for more government video surveillance cameras, says one congressman. Perhaps drones, too, says a senator. There are already government closed-circuit TV systems in cities like Boston, New York, Chicago, Los Angeles, Philadelphia, Baltimore and Washington, D.C. Rep. Peter King, R-N.Y., a member of both the House Homeland Security and Intelligence committees, said the nation needs even more video cameras in public places. "They're a great law enforcement method and device," the congressman told NBC News' Andrea Mitchell the day after the bombing. "It keeps us ahead of the terrorists who are constantly trying to kill us." Sen. Lindsey Graham, R-S.C., told the Washington Post Friday that the Boston bombings are "Exhibit A of why the homeland is the battlefield," and that it would have been "nice to have a drone up there" to help track the suspects, brothers Tamerlan Tsarnaev and Dzhokhar Tsarnaev. While lawmakers weigh the pros and cons of drones, government surveillance cameras in public areas — parks, streets, buses, subways and rail stations — have become common, but not as much as cameras put in place by department stores, banks, theaters and other private companies. 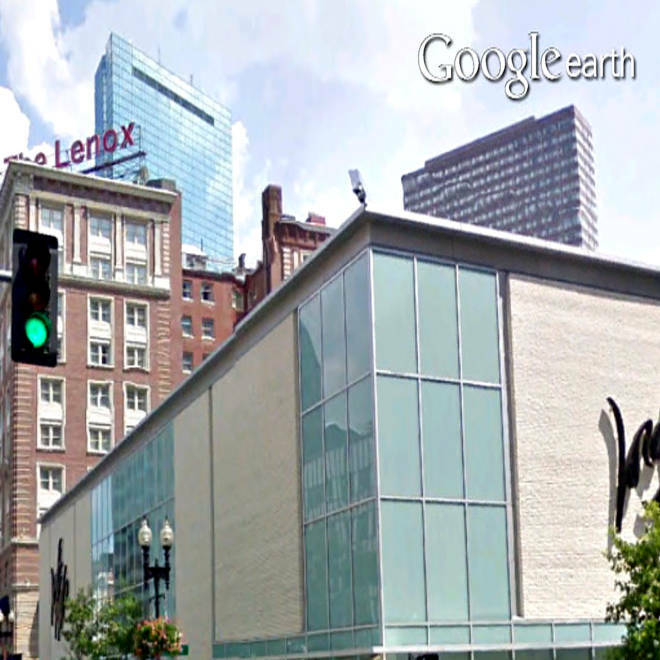 In Boston, surveillance camera footage from the Lord & Taylor department store was used to help identify the bombing suspects, The Boston Globe reported. "The use of surveillance cameras is growing exponentially," Jim Bueermann, former Redlands, Calif. police chief who is now president of the nonprofit Police Foundation, told NBC News. "There's all kinds of rationales for them being used in the private sector, whether it's loss prevention or for the safety of people. In the non-governmental world, cameras are everywhere." Government cameras, he said, are "less prevalent" because of their cost. Figuring out just how many police security cameras are already installed in the U.S. is not easy. While NBC News has cited an industry study saying that roughly 30 million surveillance cameras have been sold in the last decade, these include privately monitored systems. The American Civil Liberties Union determined that Chicago has 10,000 cameras, and this is considered the largest urban network. New York's planned security network around the new World Trade Center in lower Manhattan included 3,000 cameras, while NBC News has reported that Boston has just 300 cameras total. Bueermann, who retired in 2011, said Redlands, with a population of about 69,000, placed 120 police cameras around the city "in areas where we knew we had crime control challenges." A camera was rolling outside a downtown bar when a fight broke out in late November 2011, and spilled onto the sidewalk. A man pulled a gun and shot another man dead, with the footage captured on camera, Bueermann said. The shooter could not be identified from the video, he said, so police put it "out on the Web, and within a couple days, they had the guy," thanks to what Bueermann calls "crowd-sleuthing." A Google Street View image of a surveillance camera mounted on a Lord & Tailor department store. The camera reportedly helped investigators spot suspects in the Boston bombing. While privacy and civil liberties groups have expressed concern over government video surveillance, those issues were a bit muted following last Monday's bombings. "Instances like the tragic events at the Boston Marathon are good examples of how this technology can be used effectively in limited, well-defined circumstances," Amie Stepanovich, director of the Electronic Privacy Information Center's Domestic Surveillance Project, told NBC News. Stepanovich says the nonprofit digital rights group is less concerned with proliferation, and more worried about how long public videos are retained and who has access to them "in order to prevent their use in inappropriate circumstances." Concerns about inappropriate circumstances led the ACLU of Massachusetts and National Lawyers Guild of Massachusetts to file a lawsuit in 2011 against the Boston Police Department to obtain documents showing that surveillance done between 2007 and 2010, including video footage, was done of protestors — not of criminals or terrorists. The Redlands, Calif., police department has made a point about being "transparent" about what its cameras capture, Bueermann said. The public could "walk into our dispatch center, where the video monitoring stations were, sit down and watch how these video stations were being used," as well as "arbitrarily pick a time, date, camera and watch it." Britain is the Western nation with the most government video cameras: 2 million or about one for every 32 people. In London — where officials are upping security for Sunday's London Marathon in the wake of what happened in Boston — the city's famous "ring of steel" network of government surveillance cameras will be in full force. After the London riots of 2011, Scotland Yard had more than 100,000 hours of closed-circuit TV (CCTV) footage to review. "London is one of the most watched cities in the world with CCTV cameras everywhere from public transport to the major landmarks and small side streets," Nick Pickles, director of Big Brother Watch, a British civil liberties group, told NBC News. "Yet this did not prevent the riots of 2011, or the atrocities of 7/7," referring to the July 7, 2005 terrorist bombings on subway trains and a bus which killed 52 commuters. While government surveillance cameras are a "tool that can be useful," he said, "ultimately the focus of law enforcement should be preventing crime. CCTV undermines everyone's privacy, while diverting resources from approaches that have a much higher impact on reducing crime and improving public safety, or is used by lazy officials as a way to placate the public who want something done to make their neighborhood safer." Despite this, arguments for more surveillance cameras in U.S. cities are likely to multiply in the wake of Boston — and so are activists' calls for attention to the privacy concerns that come with them. As Boston bombing photos and videos pour in, where do investigators begin?